Entering the society in today's society is definitely something that everyone can't do in life. When it comes to various parties, the overall shape is absolutely important, and clothes are the most important. 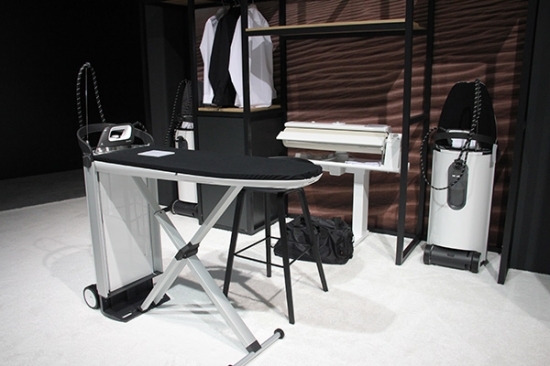 Today's (August 31) opening 2018IFA (Berlin International Consumer Electronics Show ), the local brand Miele from Germany (Miele Show us a new generation Ironing machine -FashionMaster, let your clothes feel the care at any time. The FashionMaster steam ironing system features Miele's exclusive 1-2 Lift-System folding and height-adjusting design, which excels with its powerful features and stylish design. Its one-piece design is not only easy to store, but also has a convenient height. 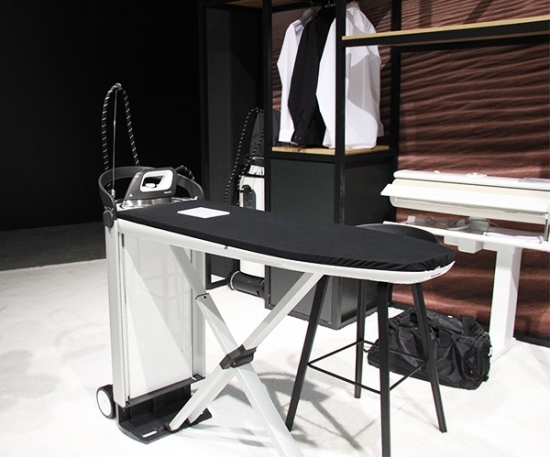 Adjust the design, Easy to operate, ergonomic: The built-in gas lift lifts the ironing board to the optimum working height (83 to 102 cm). In addition, its hanging iron flat iron in one design is also very ingenious, hanging iron with a high-grade hanging hot brush for hanging fabrics, even after folding can also use hanging hot, fast and labor-saving ironing, will not cause local overheating It can make the clothes shine as new. The most important thing is that this ironing machine is also equipped with flexible moving casters, which can be moved effortlessly. The body does not need extra support. It can be placed in any corner of the house after folding. , easy to store without pressure. This product has four steam pressure options. With a steam pressure of up to 400 Kpa and a continuous steam volume of up to 100 g/min, it can penetrate thicker coats, jackets and other thicker materials, thus greatly reducing the ironing time. In addition, it is worth mentioning that its steam distribution is different from the traditional iron. Through the small passage between the honeycombs, the steam quickly passes through the entire bottom plate, and the steam film produced allows the iron to slide gently and effectively on the clothes for better ironing. 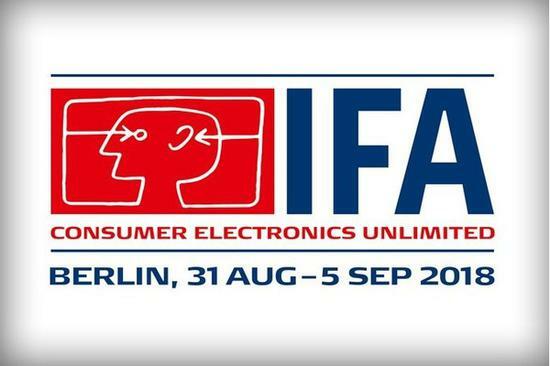 If you want to know more about IFA2018, please pay attention. China National Grid Special reports brought to you in Berlin, Germany.